This sub-committee wishes to acknowledge and especially thank John Retchford with assistance from Duncan Brookes and Mike Tegg for their contributions to the writing of the first edition. Thank you also to Stuart Brookes and Jayne Retchford for contributing drawings to the first edition that have been retained in the second and Stuart Brookes for the redrawing of some of the diagrams for this edition. Monica and John Chapman are thanked for the design, layout, image scanning and digital preparation of the manual. Many others, including the Police Search and Rescue Squad and Police Air Wing, contributed in various ways, particularly by providing material and commenting on the draft. We thank them all. Black and white cover photograph by courtesy of The Age. Other photographs supplied from Stuart Brookes’ collection, Neville Byrne, Peter Campbell, John Chapman, Monica Chapman, Peter Dunbar, Rik Head, Karl Hradsky, Leigh Johnstone, Luke Maslin and Frank Zgoznik. 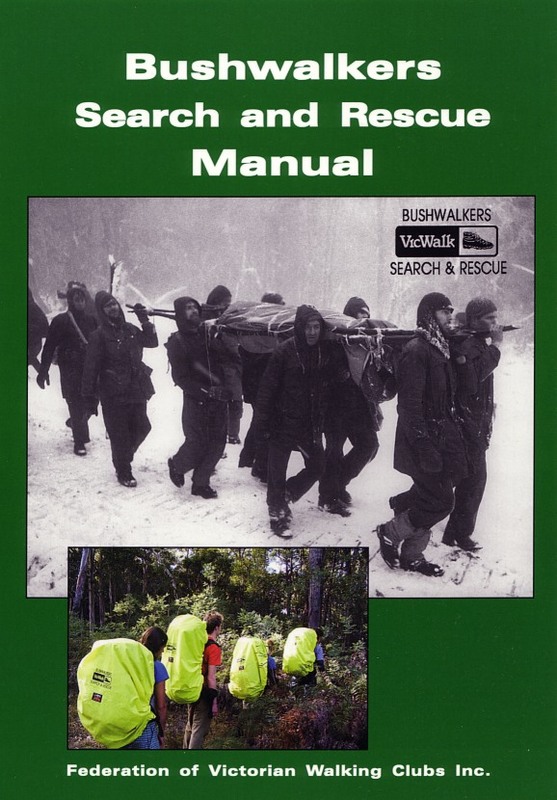 Bushwalkers Search and Rescue wishes to thank Sport and Recreation Victoria who again supported this publication with a grant towards its printing. Donations from the family and friends of the late William Peden contributed to the publication of this manual. Members of Bushwalkers Search and Rescue are very appreciative of this support and generosity. 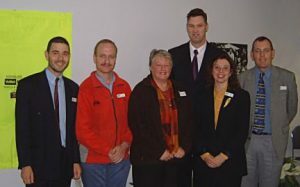 Left to right: Frank Zgoznik, Chris Jarvis, Monica Chapman, Duncan Brookes. Behind: Justin Madden, Minister for Youth, Sport and Recreation.